Fred. 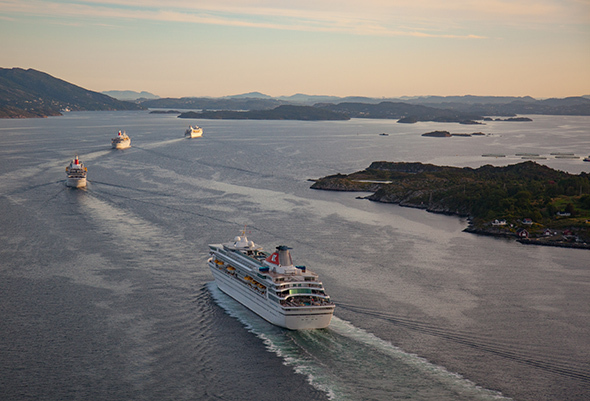 Olsen Cruise Lines’ fleet of four ships – Balmoral, Braemar, Boudicca and Black Watch – converged together for the time in Bergen, Norway, yesterday. Following an afternoon of festivities – including marching bands, shows, inter-ship treasure hunts, helicopter tours and tugs of war between Fred. 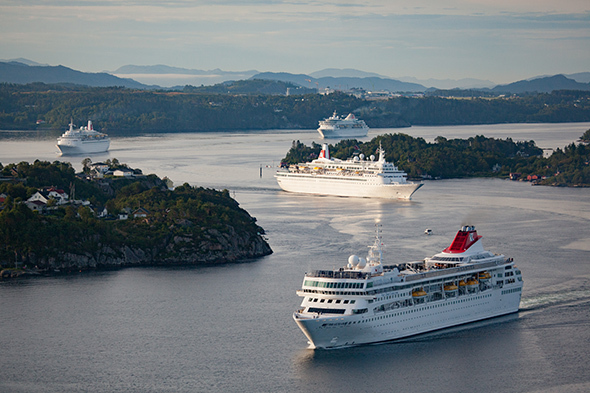 Olsen crew members – the four ships left port at 6pm local time in an impressive diamond formation.